Backed by Australia Post, MailPlus is the nimble pick-up and delivery service that’s tailored to small and medium-sized Australian businesses. MailPlus can help its clients get more of their workday by managing their business’ everyday needs. 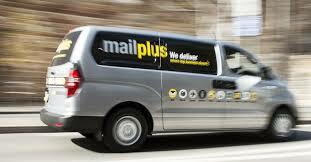 The project was about to give MailPlus’ franchisees ability to manage their run sheet and upsell to their clients. Through several of our tech partners the team developed and delivered an application which enabled MailPlus a new way to manage deliveries, the ability to upsell and cross sell products and legacy system integration.